Persona 5 released this past Tuesday and I've reallllyyy been wanting to play it, partially because it's been YEARS since they've released a new Persona game. Unfortunately, I'll have to wait a little longer to actually try it out, since I'm too busy playing the HD PS4 versions of all the Kingdom Hearts games. But I'll get to it eventually. After all, Persona 5 has teens transforming into thieves to steal the hearts of corrupt individuals! I can already tell that I'm going to love it. I'm aware that I have an obsession with thieves (*ahem* Six of Crows, D.N. 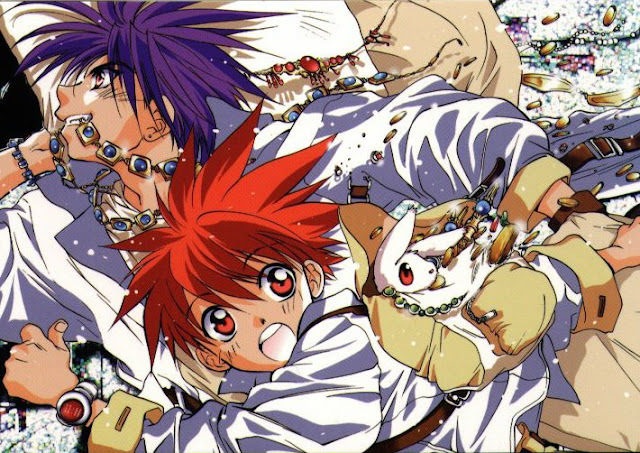 Angel, Magic Kaito etc. ), so that's why I'm extremely excited for a thief-themed Persona. Below, I have listed 5 fandoms about thieves I anticipate experiencing (and thoroughly enjoying) in the coming year(s). Though the rest of my list includes upcoming, unreleased fandoms, Persona 5 can be purchased right now! But since this post is dedicated to its release, I felt it was necessary to include it (plus, it hasn't even been out a week yet). In short, Persona 5 is about a group of teenagers who all come to realize that adults are unfairly taking advantage of and suppressing the freedom of others. 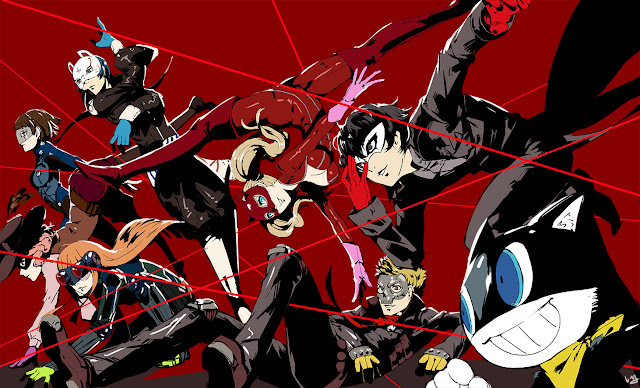 To combat this, the teens form “The Phantom Thieves of Hearts” in order to steal the root of various adults' corruption. They live dual lives, one in which they're normal students and another in which they're phantom thieves. Just as in previous Persona games, the teens must unleash Personas to unlock special powers and abilities. 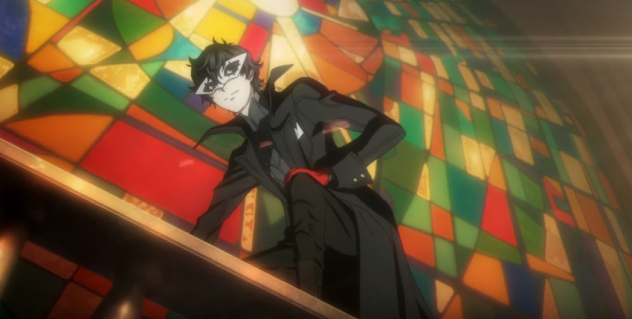 I mean, come on, who doesn't want to be a phantom thief? The promise of once again playing a game that merges the best qualities of a dating sim with an RPG. 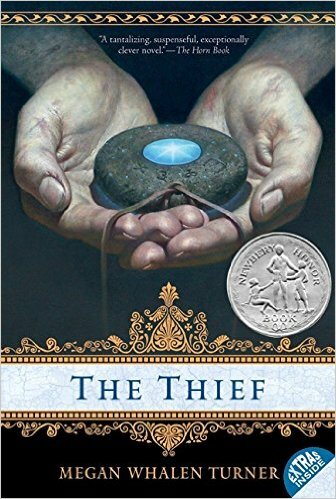 Remember reading The Thief by Megan Whalen Turner? If not, then you’re seriously missing out. 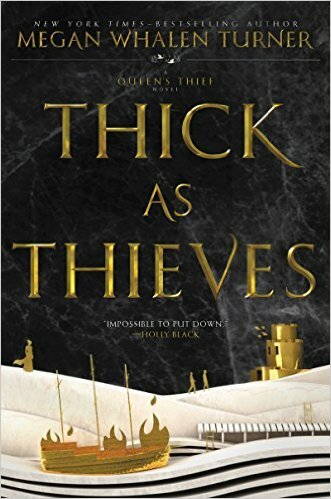 For those who aren't familiar, the book is about a magus that seeks out a thief named Gen, whose boasting gets him in major trouble. Gen accompanies the king's magus on a quest to steal an unnamed legendary object. Throughout this charming tale, we find Gen to be both amusing and stunningly clever. To top it off, there are even interesting stories about this world's ancient gods and goddesses. Believe it or not, this series just gets better as it goes along. I didn't want it to end! And with Thick as Thieves, it doesn't have to! Though the story isn't about Gen this time, it still takes place in the same world. To be honest, I haven't heard much about it, except that it features a new character named Kamet, who is set on a different path from the one he expects. More about Gen’s fantastical world!! This book includes a map of the Queen's Thief world!! Megan Whalen Turner is a genius. Enough said. 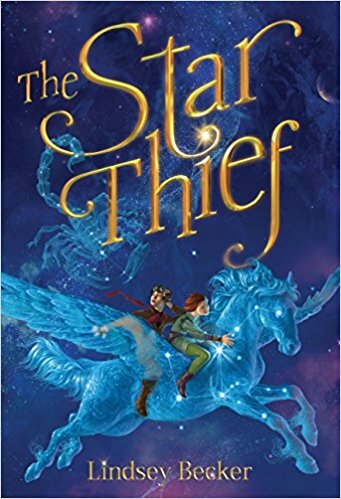 Another book I've had my eye on is The Star Thief. The story follows a maid named Honorine, whose whole life has been spent daydreaming about something more. When she stumbles upon a mysterious stranger atop a fiery horse, she finally gets her chance to begin a true adventure. She soon comes to realize that she’s much more important than a maid and that she's in the middle of an epic battle between magic and science. From what I can gather, this story has an interesting fantasy concept (constellations come to life!!) set in a steampunk world. Like I said, constellations are coming to LIFE! How cool is that? This book is an action-packed middle grade book? Sign me up! I need more to booktalk. 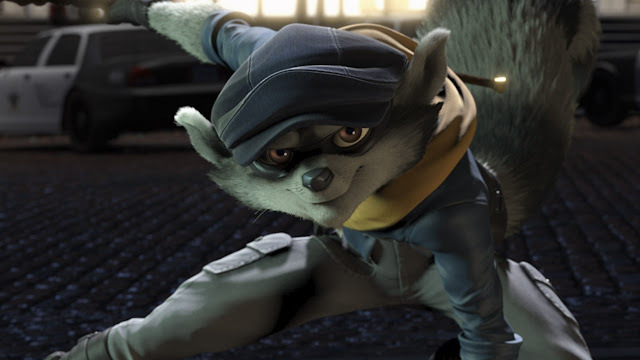 Right around the time that I started playing Kingdom Hearts, I tried Sly Cooper and the Thievius Raccoonus. Man, I spent many a night playing through this wonderful game. Unfortunately, I never got around to playing the others in the series, but perhaps I'll pick it back up later on. 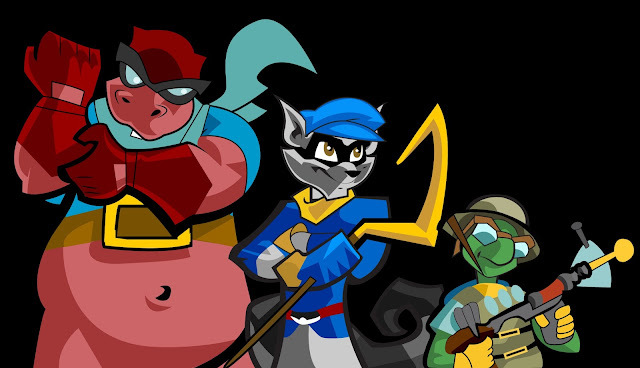 All the games follow the misdeeds of Sly Cooper the raccoon and his team as they make their way through various heists. What truly brings these games to life is the comic book style animation and need for stealth and carefully timed attacks. That’s why this movie, which has yet to be given a release date, has me so hyped. It makes me wonder what the plot is going to be like. Here’s hoping it stays true to Sly and the gang’s mischief and humor. Everyone’s aware that Disney is currently revamping most of their classic Disney movies from the golden age, so of course they’re thinking about doing a live-action Aladdin. How awesome would it be to see our most beloved street rat win the heart of the fearless Princess Jasmine? But before they film Aladdin, they’re hoping to create a live-action prequel called Genies, which will be about (you guessed it, folks) the Genie before he meets Aladdin. Just like Sly Cooper, Genies and Aladdin have yet to have official release dates. The only thing I’m worried about is how the new actor for Genies is ever going to live up to Robin Williams' rendition. Pure curiosity. Like I said above, how will this guy pull off Genie? To find out what Genie was like before Aladdin. Will they get an all Middle Eastern cast? Please, please, please. I’ve said this before, but just to reiterate, I adore thieves. Perhaps it’s the thrill of the heist, or maybe it's the love of the unlikely antiheroes triumphing by using just their wits, agility, and dexterous fingers. Thief-themed stories help us see that cleverness trumps strength and that people have flaws, but that doesn't mean that they're terrible human beings. Life's a bit more complicated than that. Did I miss any upcoming fandoms involving thieves? Let me know below.